:In an age when the church is sometimes viewed as irrelevant and inauthentic, leading Pentecostal theologian Terry Cross calls the people of God to a radical change of structure and mission based on theological principles not programmatic ones. Cross, whose work is respected by scholars from across the ecumenical landscape, offers an introduction to ecclesiology that demonstrates how Pentecostals can contribute to and learn from the church catholic. A forthcoming volume by the author, Serving the People of God's Presence, will focus on the role of leadership in the church. 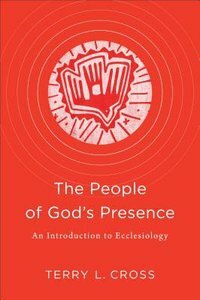 About "The People of God's Presence: An Introduction to Ecclesiology"
1. The Church As the means Of Connecting With God?